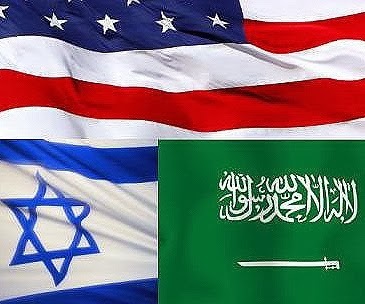 With full backing of Saudi Arabia, the international community is now harvesting the storm whose seeds have been sown by US in the Middle East in years. The mastermind of last year’s deadly attacks on Iran’s embassy in Beirut was found to have been a Riyadh-backed Saudi terrorist. 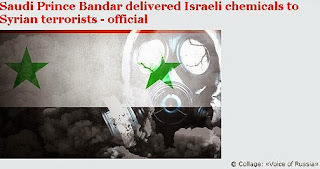 For their part, Iraq and Syria are not immune to endless conflagration committed by Saudi-backed terrorists. The Saudi regime’s role in regional insecurity and state terrorism and its support for Arab militants who are killing hundreds of innocents in Iraq and Syria have come to the fore to the extent that the Saudi officials no longer deny them and they seek to justify their destructive actions and policies. Riyadh is enforcing a plan which poses the most significant threat to world peace and security. The United State, which claimed to be standard-bearer of war on terrorism more than a decade ago, is in frustration as it cannot steer clear of regional violence led by Saudi Arabia which it has been supporting unflinchingly for decades. It seems that the consequences of US-Saudi wrong policies in the region have spilled over into Russia. Therefore, we have to review Saudi Arabia’s policies in recent years. On December 17, 2013, Saudi Arabia’s ambassador to London Mohammed bin Nawaf bin Abdulaziz expressed surprising points in an article for The New York Times. One may ask how a Saudi Muslim prince could adopt such a vindictive approach vis-à-vis the regional issues. Prince bin Nawaf might have forgotten the fact that all small and large-scale acts of terror, regional wars and sectarian strife in the Middle East, including in Saudi Arabia, are financed and armed by Riyadh and that the cause and effect could not be replaced. The most evident threat to regional peace becomes clear when the Saudi prince claims that Iran “has financed and trained militias” in Iraq, Hezbollah combatants in Lebanon and militants in Yemen and Bahrain. “We have global responsibilities — economic and political — as the world’s de facto central banker for energy…We will act to fulfill these responsibilities, with or without the support of our Western partners,” he wrote. In his article, the Saudi prince has mentioned other points, two of which need to be analyzed. 1. The prince depicts the region in a way as if the Saudi kingdom did not know that the main challenge in the region stems from Riyadh’s financial, intellectual and arms assistance to terrorists operating in Syria and Iraq. Syria’s three years of infighting which has grown into a humanitarian tragedy is a case in point. More than 150,000 people have been killed and upwards of 400,000 have been injured, not to mention more than 5.2 million having sought refuge in Lebanon, Turkey and Iraq. This sinister situation is an immediate result of Saudi Arabia’s interference in regional affairs. In the meantime, we know quite well that Saudi Arabia and the United States both favor the overthrow of Syrian President Bashar al-Assad, but they are seriously divided on picking an alternative. 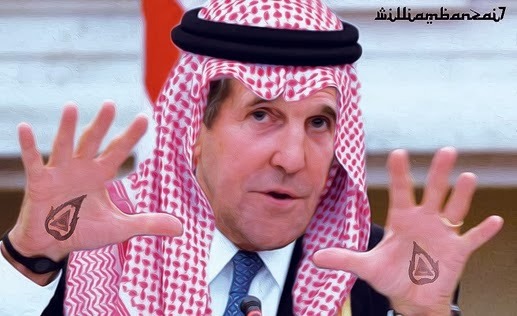 That is why the Syrian crisis is lingering and differences have emerged between Riyadh and Washington. During private talks, the Americans rejected Riyadh’s request for the rule of a Wahhabi-minded reactionary group in Syria because it would have undone all their efforts for their planned New Middle East. Iraq is also experiencing a new round of suicide attacks mainly against Shia population in holy Shia cities. 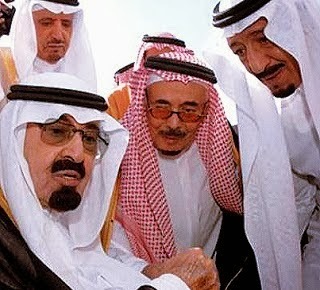 It is a common knowledge that the Saudi regime suffered a failure in Iraq following the overthrow of Saddam Hussein and the ensuing formation of a democratic government. In retaliation for its defeat, Riyadh opted for carnage in Iraq in a bid to undermine the government of Prime Minister Nuri al-Maliki. In the meantime, by contributing to the ignition of sedition in Damascus, Saudi Arabia is seeking to compensate for its failure in Iraq and create a sort of regional balance in its favor. In other words, it has gained Syria after having lost Iraq. Are Saudi officials well aware that when the root of terror, violence and instability is sought, most fingers are pointed at Riyadh? It is shameful for Saudi Arabia to be labeled as the main supporter of terrorism in the region because it is the birthplace of Islam whose messenger promoted unity among Muslims and clemency towards others. The public image of the House of Saud is too distant from Islamic values and there is no similarity between pure Islam and the Saudi regime’s policies. 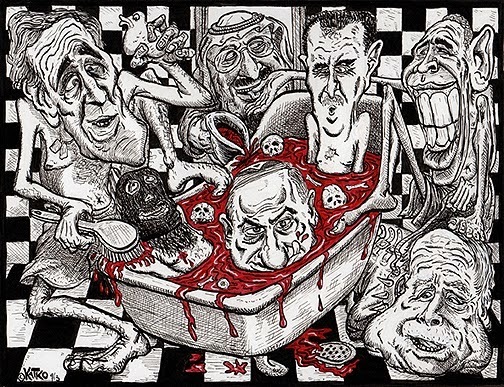 The House of Saud is generally known to comprise wealthy princes – some of them graduates of universities in Western countries – who ignore cultural and social values like social justice, human dignity, eradication of poverty and corruption, freedom, democracy and human rights. The House of Saud is not compatible with these values because it considers commitment to them as factors undermining its position. Emboldened by God-given wealth and petrodollars, the House of Saud is fighting these values enshrined in Islam. The House of Saud’s strategic alliance with Wahhabists stems from the fact that the Wahhabis only recognize their own rigid-minded interpretation of Islam and excommunicate others. They also oppose symbols of modern world. Of course, we know that restrictions like driving ban for women only apply to Saudi citizens, because Saudi provinces are living in luxury villas in Europe or US. 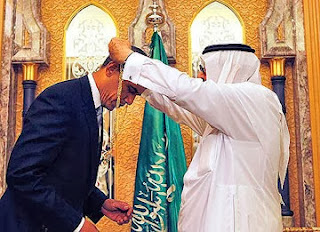 These double-standards have made Muslims mistrustful of Saudi Arabia. 2. The second point highlighted in the Saudi prince’s article pertains to his firm opposition to any rapprochement between Iran and the West particularly the United States. Saudi Arabia is worried about changes in the region in favor of Iran. Furthermore, Saudi Arabia is anxious that under the aegis of Iran’s strength in the region, the Iranian’s interpretation of Islam, born out of the 1979 Islamic Revolution, will eclipse the Saudi Puritanism. This Saudi diplomat, who is likely to become a more influential decision-maker, must explain why Saudi Arabia imagines that its survival depends on sectarian and regional violence in the Middle East, why the Saudis imagine that Iran’s strength will undermine Riyadh, why they refuse to reconsider their policies in the region in favor of cooperation with regional countries rather than with trans-regional countries like the US, Britain, France and Canada. These extra-regional countries have violated the sovereignty of Persian Gulf Arab littoral states by establishing military bases there. They also continue to fan the flames of conflicts in the region. Saudi Arabia, where the holy Mecca is located and the Prophet Muhammad (PBUH) is buried, must feel obliged to reconsider many of its affairs like replacing anti-Iran hostility with cooperation, respecting popular governments in the region instead of spreading violence in regional countries, tolerating other Islamic sects instead of ostracizing their followers and spending its money on welfare and healthcare facilities instead of funding violence. If Saudi Arabia invests the billions of dollars it supplies to terrorist groups every year in poor Muslim countries, its image will improve in the region. Today, Saudi Arabia is blamed for fuelling violence and intimidation in the Middle East. The improper image which exists in the world public opinion of this country is getting darker on a daily basis. Moreover, the flames of self-sprung revolutions have spread as far away as Saudi northern borders, Bahrain. The holy Koran stipulates that a government which relies on force, wealth and lies will not survive. The future generation of Saudi rulers is expected to reconsider the current policies and choose to play a positive and constructive – and not destructive – role in the Middle East. 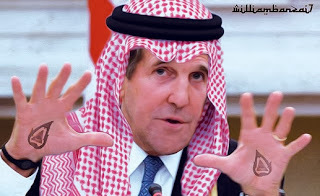 Doubtlessly, the ongoing violence in Syria and Iraq will be contained if Riyadh wishes it. In that case, reactionary groups which have sullied the image of Islam will rethink their mindsets and the grounds will be prepared for cooperation and unity among Muslim states. Saudi Arabia is strongly recommended to take the initiative for holding an Islamic conference in the region to let Muslim intellectuals and scholars from all Islamic sects express their criticisms of the House of Saud’s policies and approaches. Then if Saudi Arabia’s policies rejected, Riyadh will at least reform its ruling methods and at least guarantee its survival a bit longer.